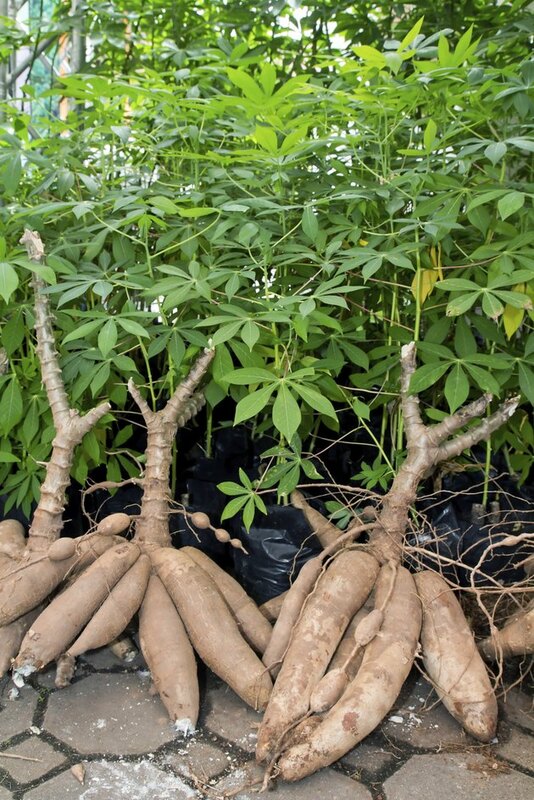 Tapioca starch is made from the root of the cassava plant. Although it can be used as a flour for baking, its mainly used as a thickener. Tapioca is widely used in Asian cuisine, especially in Thai recipes. In India, tapioca starch is sometimes boiled and flavored with spices to eat as a side dish. The most obvious benefit of tapioca starch is that it is gluten free and wheat free. This makes it an appropriate option for people who have gluten intolerances but still want to bake or add thickeners to their recipes. Tapioca starch works well in a number of recipes, making it an appropriate choice for baking pies, making flat breads and creating snacks such as chips and wafers. Because tapioca starch is also a thickener, many cooks use it to thicken soups, puddings and gravies. Tapioca adds chewiness to a recipe, so it’s not a good choice if you’re looking for a harder, crumbling texture for cookies or muffins. Tapioca starch has a bland, neutral taste. This is an advantage when cooking, as adding tapioca starch won’t affect the flavor of a recipe. Because of its neutral taste, tapioca starch can be used in both sweet and salty dishes without problem. Other gluten-free starches and flours, such as buckwheat flour, potato starch and brown rice flour, will change the flavor, color or texture of dishes. Tapioca starch will not. Tapioca starch contains no protein, making it a good choice for those trying to cut their protein intake. Most other types of starches and flours contain at least some protein. For example, wheat flour contains 16 g of protein per 120 g serving, which equals about one cup. According to Fine Cooking, low-protein starches are good for cooking soft –rather than crusty, crunchy-- breads, cakes and biscuits.